We offer high-quality Necklace to our clients. Intricately designed and encased in distinct metal and glass beads, our leather braided necklaces reflect the charm of traditional Indian artistry. 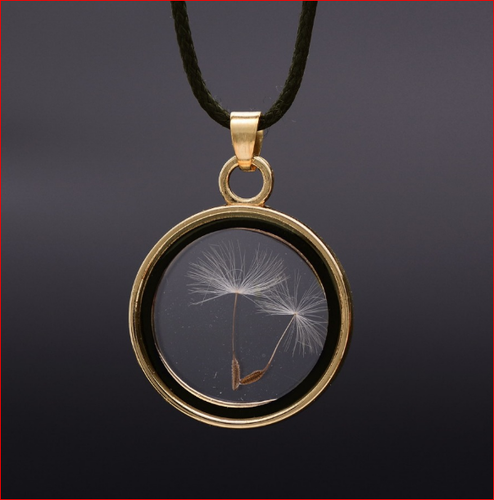 The elegant visual appeal of our wonderful range of necklaces can be enamored for seasons. Our exclusive variety of leather necklaces includes black and brown leather necklaces, braided beaded necklaces, which have drawn the attention of customers all over the world. These versatile pieces can go well with traditional as well as modern attires. Established in the year 2008, P. S. Daima & Sons is one of the most renowned manufacturers, suppliers and exporters of a wide range of leather products like leather fashion jewelry, leather accessories, leather cords, leather buttons, ladies leather belts, designer leather belts, fashion leather belts, etc. These products are made by using original and quality approved leather. We also conduct regular quality checks in order to ascertain that there is no flaw or defect in the final range. Our leather products are appreciated for their features like durability, strength and resistance to tear and stain. Our organization has a very modern and sprawling infrastructure which has all the latest and sophisticated facilities to maintain a swift rate of production. The organization also develops and produces licensed leather products for clients who have the requisite approval and agreement with the licensor. We also make sure that highest international standards are duly followed and hence have employed a separate quality control team for the purpose. We have a gamut of awards and achievements to our credit which includes award for Best Export Orient Unit, EPC for EOUs & SEZ Units and one star export house. We are efficiently led by Mr. Sushil Daima and Mr. Surinder Daima who are business partners in the firm. The organization’s remarkable rise in the recent years has been mainly because of their efforts and able support from a diligent workforce. We have a team of skilled craftsmen which is engaged in producing leather products of innovative and contemporary design. All our professionals are well aware of various challenges and opportunities which keep coming their way. We aspire to design and supply better quality leather goods and offer them at industry leading prices.